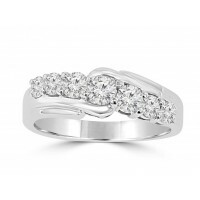 A beautiful reflection of your love, this exquisite band can be many things to many women - an engag.. 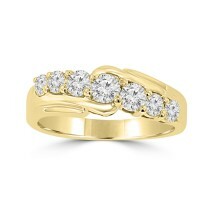 If you’re looking for a lovely wedding band to go with that perfect engagement ring, but want som.. 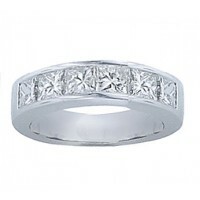 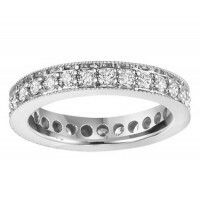 This new wedding band is an tremendous complement to several of our diamond engagement rings. 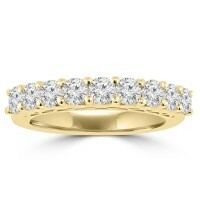 This r.. 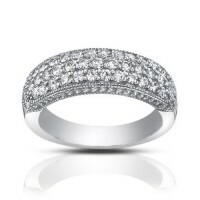 The perfect way to tell her "I forever do," this elegant diamond anniversary band features a dozen n..